The concept behind the transitional design of this lush living room combines light, shapely furniture, pale cool colors and pattern on the floor. 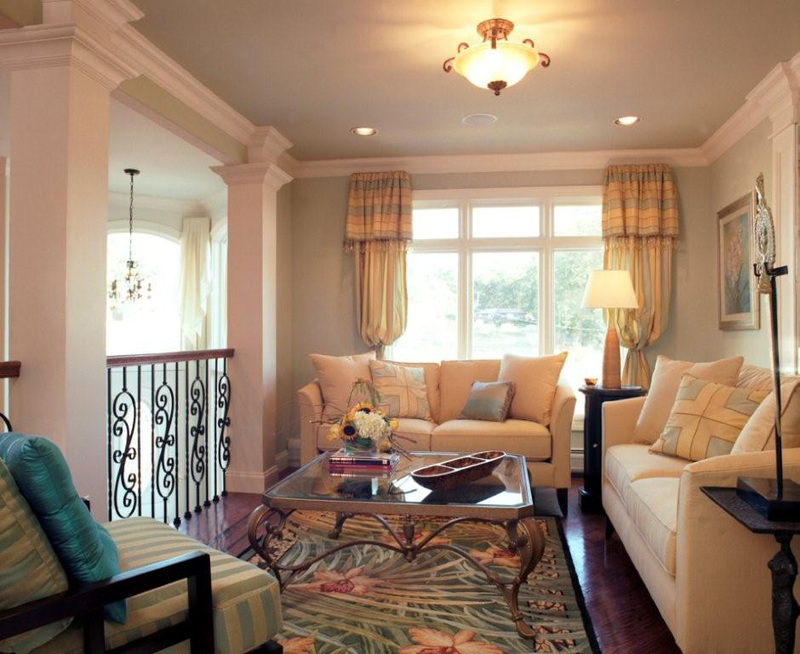 The glass coffee table and the wrought iron separating wall keep the center feeling open. 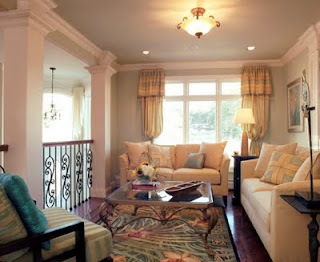 The drapery panels add just enough drama, keeping with the formality of a living room while remaining bright and open.